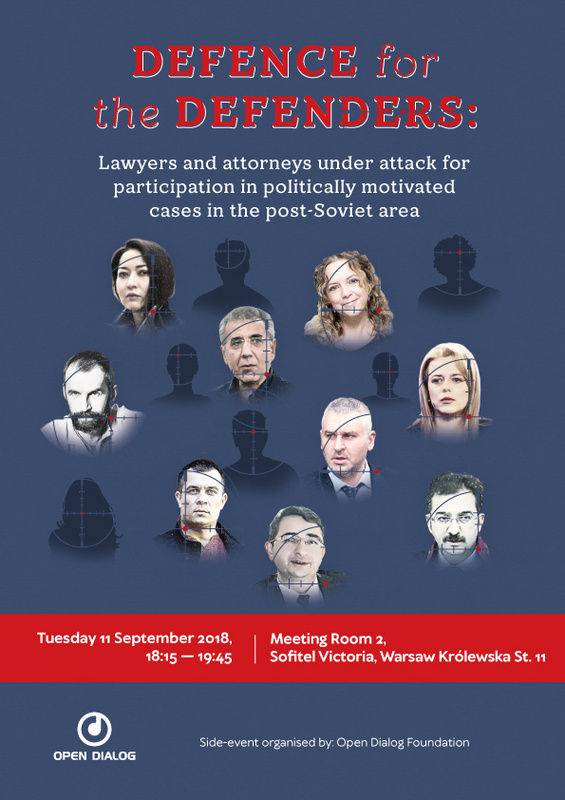 Within the framework of the OSCE Human Dimension Implementation Meeting 2018 in Warsaw, the Open Dialog Foundation will hold a side event entitled “Defence for the Defenders: lawyers and attorneys under attack for participation in politically motivated cases in the post-Soviet area”. The event will take place on Tuesday 11 September 2018 at 18:15 in Meeting Room 2. On this occasion, the Foundation will present its report Defence for the Defenders and provide the audience with the first-hand testimonies of guest speakers from Italy, Ukraine, Moldova and Kazakhstan. In Moldova, public protests erupted in the streets in the aftermath of the Supreme Court’s decision to invalidate the results of the mayoral election in Chisinau won by the opposition candidate Andrei Năstase. This particular event, criticised harshly by the European Union, as well as by foreign representatives in Moldova, has sparked major concerns regarding the system of the judiciary in the country. In Moldova, judges, lawyers and pro-reform activists critical of the ruling elite and oligarchic interests constantly find themselves under attack and pressure. Another case is that of Russia, and, in particular, of the lawyers of Ukrainian political prisoners held in illegally occupied Crimea. Those who choose to defend the rights of political prisoners are indeed subjected to different forms of pressure, from administrative sanctions to smear campaigns. Lawyers sometimes represent the only link between prisoners and their families, and therefore must be effectively protected and their ability to freely practise guaranteed. In Kazakhstan, too, lawyers engaging in politically motivated cases are often under pressure and their willingness or ability to work for such sensitive cases is hindered as a consequence. Andrew Chernusov, leading expert at Kharkiv Institute for Social Research.